In this guest blog post, Steve Chown outlines the few details he has of his grandfather Jim’s accident on the railways around the time of the Second World War, including his convalescence. Unfortunately Jim’s accident appears not to have been investigated – possibly because of the war, or possibly because it was one of the 97% not selected for inquiry – so we don’t know exactly what happened. However, what we do have in Steve’s account is an interesting look at railway work and a glimpse into convalescence – timely, ahead of Disability History Month starting later in November. This post is another nice example of the ways in which personal testimony can be brought into our project and the wider field, opening up discussions that the official accident investigations don’t expose. It also shows the benefits of collaboration between projects like ours and family historians, as everyone benefits from a fuller picture of the individual’s life. As always, if you’ve got a guest post you’d like to contribute, do please get in touch with us – we’d love to hear from you! 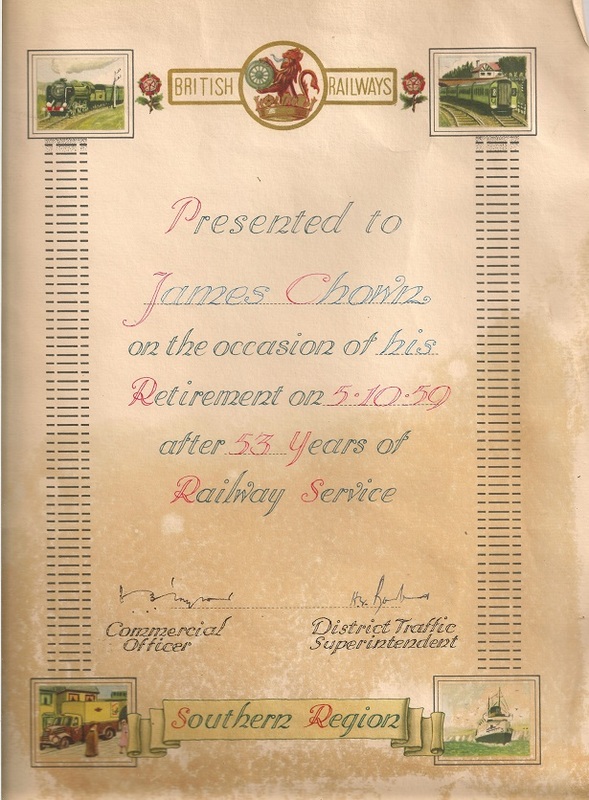 My grandfather, James Chown (1890-1976), known as Jim, worked on the railway for 53 years – a period that spanned pre-grouping LSWR, through Southern Railway and finally post-nationalisation British Railways. My grandfather‘s retirement certificate, awarded a few weeks after his 69th birthday. 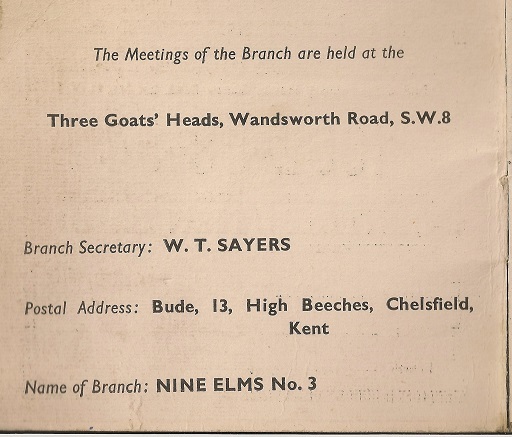 He worked in number of manual roles – he was described as a ‘van man’ in the 1912 membership rolls of the Amalgamated Society of Railway Servants, as a porter on his 1924 marriage certificate, and a shunter on my parents’ marriage certificate in 1951. 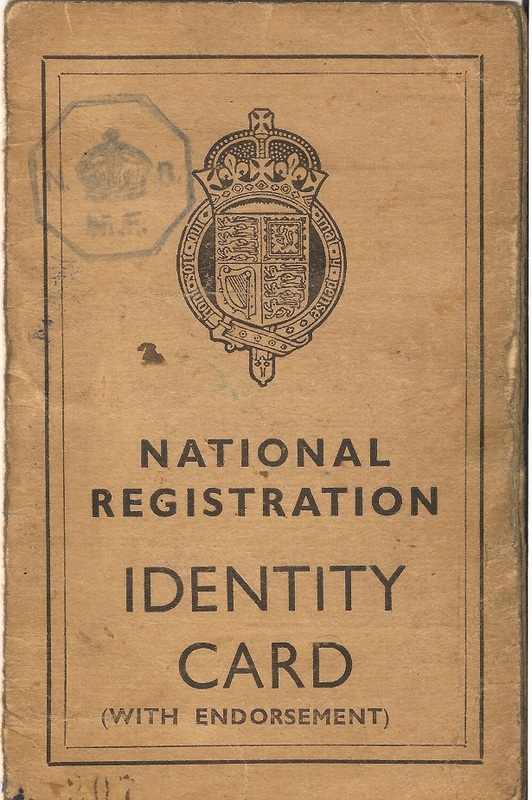 I believe it was in this latter role that he spent most of his career – he described himself as a ‘retired shunter’ on my grandmother’s death certificate when he registered her death in 1972. The RWLD project has taught me that shunter was one of the most dangerous jobs on the railway – they coupled/uncoupled rolling stock, requiring them to work in and around moving wagons/carriages for much of the time. Accidents were frequent and Jim was not lucky enough to avoid one. This post is unlike others on this site – I don’t know the nature or circumstances of his accident or much about his career at all beyond what I’ve been able to glean from papers that his son (my father) had in his possession when he died and from commercially-available genealogical resources. But I think that this emphasises how important projects like this one are – in drawing together and capturing the stories that exist behind the statistics, particularly from those with more information than me. 1913 layout of Nine Elms North goods yard – there was a south yard, too. 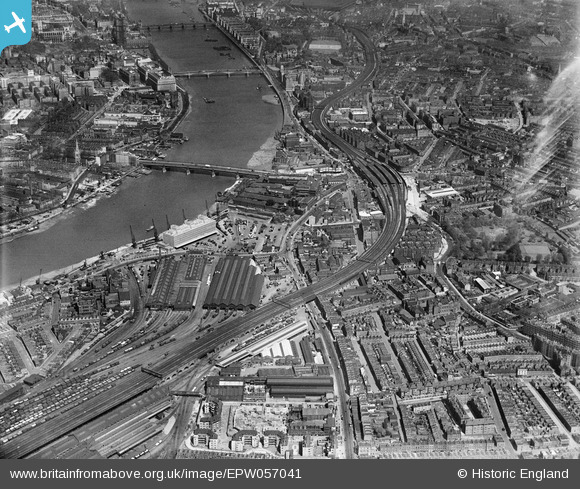 Nine Elms north yard is seen centre left of this 1938 aerial shot. 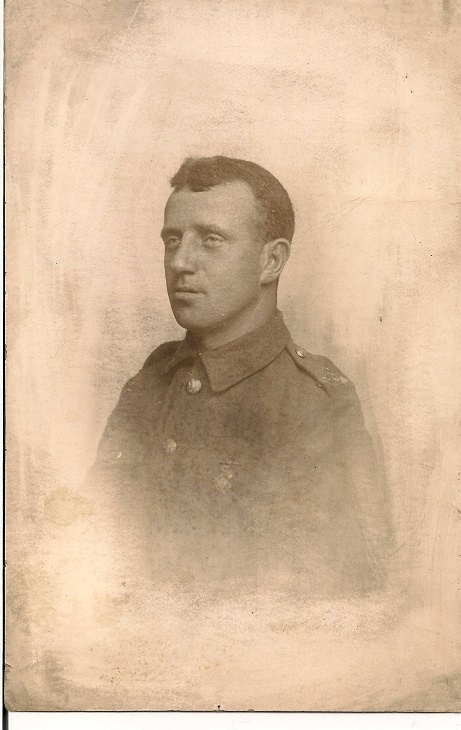 Jim joined the railway soon after leaving school and, as far as I am aware, stayed at the same site, Nine Elms in South West London, for all of his working life (other than three years in the London Regiment in World War I, likely the only time he left England). Jim Chown in war service. 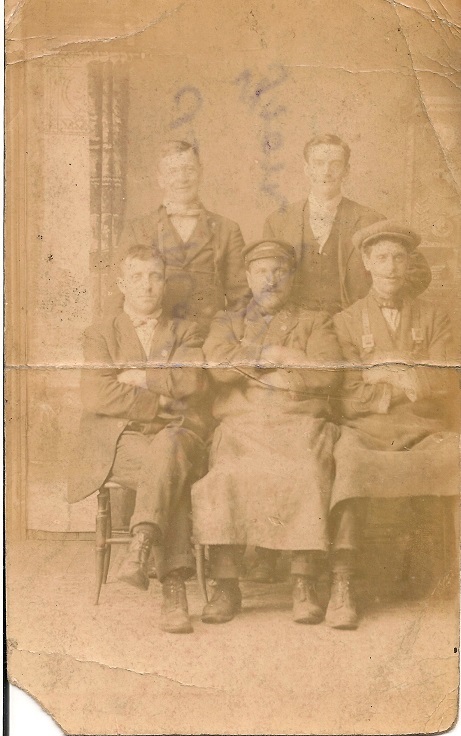 I found these photos, of men I assume to be his workmates, in an old family album. The photos aren’t well-preserved and, other than in the broadest terms, I don’t know where they were taken or who was pictured. Interesting artefacts but frustratingly silent of meaning (unless a reader knows otherwise). 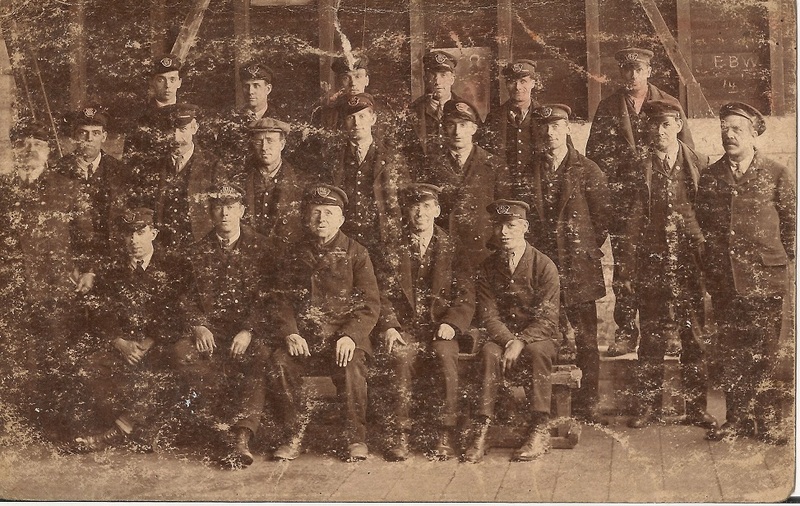 Jim is wearing a flat cap, fourth from the left in the middle row of the top picture and seated on the left of the lower picture. 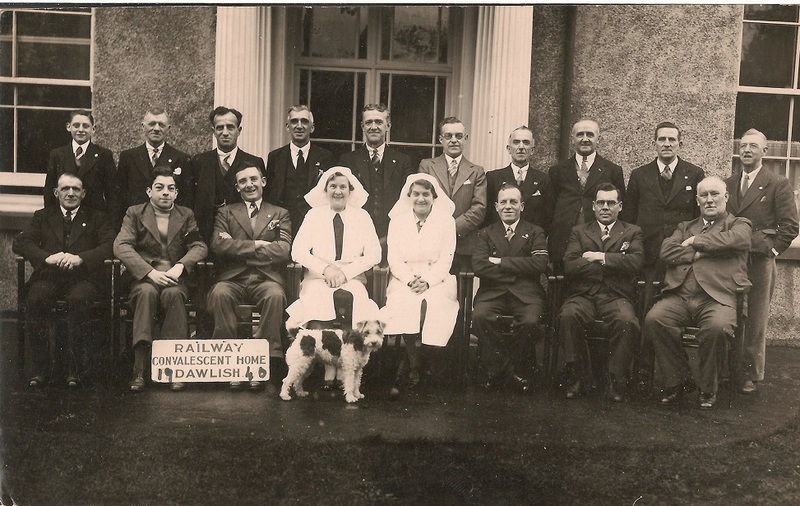 I know he suffered an accident on the railway (and hence my coming into contact with RWLD) as this photo from the railway convalescent home at Dawlish was also in that old photo album. Jim is third from the left in the back row. But the nature of the injury and circumstances of the accident, despite RWLD’s best efforts in looking through the available records, seem lost to time. Only two of his family still alive knew my grandfather – me and my sister (aged 5 and 21, respectively, when he died). Other than confirming his being a shunter and a piece of family trivia that my mother had also told me when I was a child,* my sister knew nothing of his life on the railway. Our father would have known, I’m sure – he was 13 or 14 when the accident took place and may already have started working on the railway himself (he was a sheet examiner – literally examining the sheets placed over goods wagons for wear and tear – for over twenty years after leaving school). Sadly, he died in 2006 – much of what I do know about his father’s life has been gained from the photos and railway ephemera that I discovered in his belongings after his death. 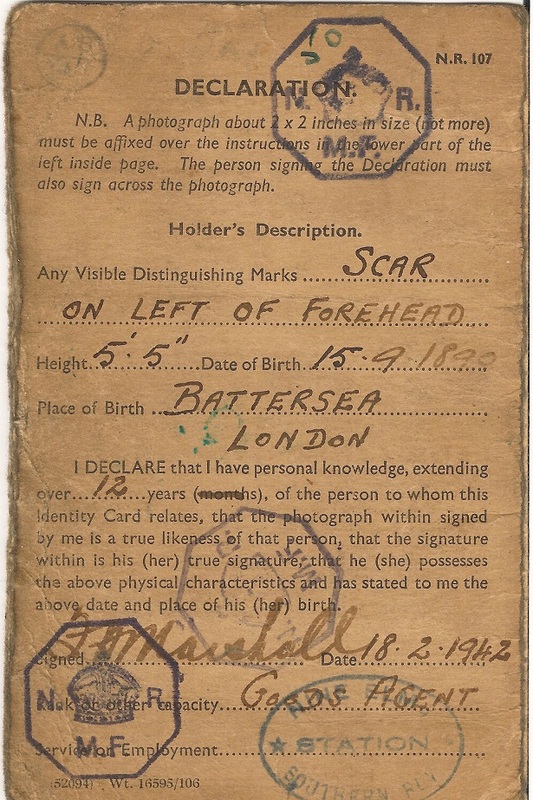 Jim’s National Identity card from 1942 (I do not believe that either my father or grandfather threw away any official document) says that he has a distinguishing mark – a scar on his forehead. Maybe this was a legacy of his railway accident? But it could equally have been a result of his time in the army. So, that’s the, vaguely unsatisfying, end to my blog post. My grandfather carried out a dirty, dangerous job on the LSWR, SR and BR during which time he had (at least) one accident that required convalescence. While it is nice to hope that someone reading this knows more, or that fresh archive material is uncovered in future, I think that it’s unlikely. But as a reminder of the value of timely recording of oral history, I hope it has been an interested read. * That piece of family trivia? 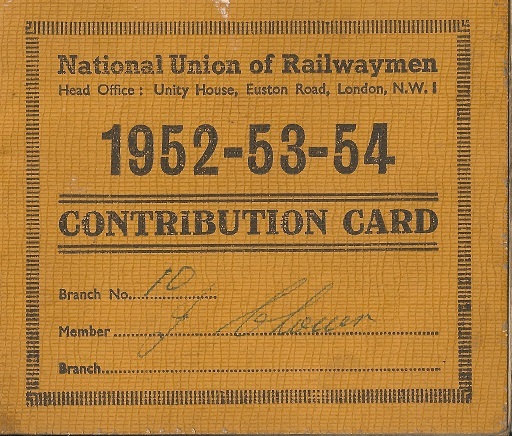 Jim’s job had once been at threat, for ‘stealing salt from the railway to put in his sandwiches’ (as it was recounted to me) but his union (the National Union of Railwaymen) had stood by him and the threat was rescinded. My mother told me (and presumably my sister) this story when I was a child. As an adult, it sounds to me that there’s considerably more to this story than what my sister and I know but, like the details of Jim’s accident, it’s now a mystery. Steve Chown is a civil servant, working in a policy role in Westminster – the first of his direct male family members in three generations not directly involved in transport operations. In a nice circularity, however, Steve’s grandfather Jim Chown was born in a house in Nine Elms from which it is possible to see the Houses of Parliament – a change which says a lot about social mobility and the opportunities that have opened up over the years to those from all backgrounds.